The civic foundation Energiewende Oberland EWO is a non-profit organization founded in 2005 to promote energy savings, energy efficiency and use of renewable energy. The actions of EWO are targeted to informing citizens, politicians and decision makers about the opportunities of energy efficiency and renewable energy systems and actively support their implementation. EWO develops and runs educational programmes and serves as contact point and counselor for municipalities, district governments, citizens and energy working groups. EWO runs a network of 4 administrative districts, 80 municipalities, 21 organisations and 76 companies. On behalf of the four governmental districts of Bad Tölz-Wolfratshausen, Garmisch-Partenkirchen, Miesbach and Weilheim-Schongau, the civic foundation functions as central coordination office and closely cooperates with administrations on municipal and regional level. Energiewende Oberland organizes four major events per year, arranges target group specific information events, participates in regional fairs and conferences and is represented by lectures in and beyond the Oberland region. Energiewende Oberland has an office at Penzberg at its disposal that serves as headquarter and contact point for questions concerning energy transition. A close cooperation with a strong local, regional, national as well as international network, established over the years, of course is vital. In addition, Energiewende Oberland supports a network of local and regional working groups, where volunteers bring their professional experience and personal contacts, thereby making an important contribution to energy transition. The civic foundation Energiewende Oberland was founded in 2005 by 86 donors, consisting of citizens, private companies, organisations, municipalities and governmental districts. Since then the foundation has steadily grown and now counts over 250 supporters, comprising 80 municipalities, 21 organisations, 76 private companies, and 74 citizens. 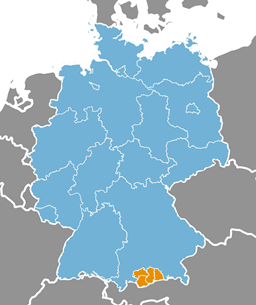 The foundation is supported by the four Bavarian governmental districts of Bad Tölz-Wolfratshausen, Garmisch-Partenkirchen, Miesbach, and Weilheim-Schongau. All donors meet at least once a year in the foundation assembly where general strategic questions of the organisation are discussed. Municipalities are represented by their mayors. The strategic orientation is monitored by a foundation council, consisting of representatives of its four member districts. The operational work is steered by the foundation’s governing board. The board meets at least once a month. Day-to-day business of the civic foundation Energiewende Oberland is organized by a staff of 5 environment and energy experts. The agency is headed by a General Manager. Energiewende Oberland executes a broad range of activities with and for citizens, municipalilities and the four Oberland districts to support energy transition. The foundation’s activities involve information and awareness raising, public relations work, networking and network management, relaying of experts, performance of workshops and moderation, citizens and actors dialogues, project development and implementation, concepts and professional support. One of the greatest environmental challenges is climate change with its far reaching ecological, economical and social consequences. A global partnership is vital in order to face that challenge, to establish preconditions for a sustainable development and to leave a world worth living to our descendants. Following the motto „think globally, act locally“, Energiewende Oberland aims at implementing that provision on a regional level and supporting political decision makers in these efforts. Together with its member governmental districts, Energiewende Oberland initiated and since then moderates energy and environmental advisory boards where decision makers from the governmental districts, politics and administration decide on district planning and action plans. In order to reach its main goal of transforming energy supply in the Oberland region towards 100% rewenable energy, Energiewende Oberland is set up as a non-profit organization, politically as well as economically independent. This allows the civic foundation to serve as an unbiased contact point for citizens, municipalities and governmental districts. The successful implementation of energy transition requires a learning process in which complex relationships and appropriate measures need to be depicted in a comprehensible way. Therefore educational work and awareness raising for the thematic field of energy transition, climate protection and sustainability have been two of the foundation’s focal points since its formation. For that purpose, Energiewende Oberland elaborates and conducts programs and seminars for children, young people and adults. Energiewende Oberland supports municipalities and districts by developing energy concepts for buildings, neighbourhoods, municipalities and the Oberland region. In order to make implementation feasible, the civic foundation assists its members by elaborating funding applications, providing network management and accompanying practical execution. Energiewende Oberland offers advice on energy savings and energy supply to citizens, municipalties, districts and companies. The foundation helps to identify and utilize existing potential, plan energy transition strategies, implement and monitor measures. In addition, Energiewende Oberland cooperates with Verbraucherzentrale Bayern, the Bavarian consumer advice center. Energiewende Oberland offers campaign material that municipalities, governmental districts and other interested parties can use to engage citizens in energy transition. Topics range from the presentation of already existing best practice examples, experts and regional doers, over district-wide energy savings for private households to energy-oriented refurbishment. By annualy awarding the prize „Municipality of Energy Transition“, Energiewende Oberland highlights and values special commitment in Oberland municipalities. In addition, the award carries lighthouse function and thereby serves to motivate the region’s communities to reinforce their efforts towards energy transition. Since the local population knows problems und necessary measures best, Energiewende Oberland supports its own network of local and regional expert groups. More than 200 Oberland citizens bring their professional experience as well as their personal network to local working groups or support municipalities as energy consultants, thereby making a major contribution to energy transition. Energiewende Oberland is active in regional, national and international project work. Topics concentrate on the foundation’s core goal of energy transition, comprising energy savings, energy efficiency, the use of renewable energy and climate friendly mobility, and range from research, concept design over implementation to education. With its strong network in the Oberland region, Energiewende Oberland translates between science, politics, regional decision makers, citizens and users. The project outcomes serve the energy transition plans of parties and regions involved and provide inspiration and orientation to the civic foundation members and the Oberland region. In order to contribute to Energiewende Oberland’s goals to become reality, concrete target settings are also developed in the framework of projects. Companies, municipalities, research institutes and regional actors take part and bring their knowledge directly to the activities on the ground. The project "Pooling Energy ACtion and Enhancing their implementation in the Alps" (PEACE_Alps) supports municipalities in their efforts torwards energy transition. The project clusters activities of existing energy and climate projects in municipalities while integrating climate change adaptation measures with an approach developed in SEAP Alps. Energiewende Oberland is leading external as well as internal communication of the project. Main objective is to enhance as much as possible the impact of the project by giving it visibility in order to raise awareness, increase knowledge and influence attitude. To reach a broader audience, Energiewende Oberland uses digital tools such as online communication via webinars or youtube, animated presentations and digital live survey tools at events. Moreover, Energiewende Oberland participates in the implementation at regional and local level of other project tasks due to the foundation’s close cooperation with regional and local authorities, NGOs, enterprises and citizens. In addition to Energiewende Oberland, eleven other organisations from six Alpine countries are involved in the project. PEACE_Alps is supported by the INTERREG Alpine Space Programme of the European Regional Development Fund (ERDF). SEAP_Alps connected municipalities in the Alpine region with a focus on integrating adaptation to climate change into municipal Sustainable Energy Action Plans (SEAPs). The project promoted sustainable energy planning at the local level through the sharing of a common methodology among partners. Energiewende Oberland led the project’s communication strategy and ensured that information of project progress and results was shared with stakeholders effectively and fast. The strategy focused on communication with local authorities, the Covenant of Mayors’ coordinators, and associations of municipalities and provided information for day-to-day management at local level. With the help of an e-learning platform, Energiewende Oberland guaranteed the effective exchange of results and experiences for interested parties and project partners. The project supported more than 60 alpine municipalities in setting up local climate plans. In addition to Energiewende Oberland, eleven other organisations from six Alpine countries were involved in the project. The governmental region of Oberland aims at supplying 100% of its energy demand through renewable energies by the year 2035. In order to make that goal feasible, INOLA develops integrated concepts and innovative solutions that also take into account conflicts between energy and land use – e.g in the fields of environmental protection, agriculture and tourism. Acceptance of citizens and regional actors are a crucial predicament for the successful implementation of these approaches. Energiewende Oberland supports the project as partner from practice and co-leads its practical part. As the vital link between science and practice, Energiewende Oberland cares for project management, communication and public relations including event management and campaigns as well as networking management. Furthermore, Energiewende Oberland supports the implementation-phase in municipalities as contact partner and disseminator and accompanies flagship projects in the region. In addition to Energiewende Oberland, four other organisations with scientific respectively practical background are involved in the project. ENERGISE is an innovative, Europe-wide research initiative aiming at a deeper understanding of social, cultural and political influences on energy consumption. ENERGISE develops, tests and evaluates measures for the reduction of energy consumption in households on the basis of adjustments of everyday life practices and habits. Energiewende Oberland is the project’s local partner in the Oberland region. Thanks to its strong regional network, Energiewende Oberland supports the project in addressing suitable households. Furthermore, EWO facilitates contact to regional actors experienced in energy saving measures and practices in the region’s households. In addition to Energiewende Oberland, seven universities as well as institutes, NGOs and private companies from 10 countries are involved in the project. Climate Pedagogue closes the gap between research and education in the field of climate change by developing regional-specific training possibilities to become climate pedagogue in the alpine respectively pre-alpine region. In a first step and designed as a micro project, the project conducts a transnational preliminary study in order to find out about the need for a qualification and continuing education in the area from Bavaria to Tirol. On the basis of that study, an additional qualification as climate pedagogue shall be developed in a next project. Energiewende Oberland leads the project’s overall coordination and conducts its public relations work. Moreover, Energiewende Oberland supports the project by its deep rooted network in the context of education and politics in Bavaria. In addition to Energiewende Oberland, ten partners from Austria and Germany are involved in the project. Bioenergy-Region aimed at establishing technical as well as communication structures in order to expand bioenergy in rural areas and create role models. Due to its success, a second funding phase followed, seeking to develop the newly founded bioenergy competence center into a self supporting service centre, the EWO-Kompetenzzentrum Energie EKO e.V. . The project generated integrated approaches in which in addition to bioenergy all other forms of renewable energy were used, thereby reaching the German goverment’s climate protection goals and even exceeding them. The integrated approaches were developed and implemented in close cooperation with citizens, municipalities, other political decision-makers and small and medium-sized enterprises. Furthermore, within the framework of an education concept, target-group-specific learning events and expert symposiums were put into practice. Energiewende Oberland held the leading role in the project and acted as network manager, communication hub, major driver and coordinator. In addition to Energiewende Oberland, numerous partners from the Oberland region were involved in the project, ranging from governmental districts and municipalities over organisations and scientific partners to companies. The Alpine Space projecte SEAP_Alps is finalist of the European Commission Award for good practices and innovative projects in regional development in the "Energy Union: Climate action" category. #EUSEW18 Public Sector Award goes to PEACE_Alps. It supports Alpine authorities in making the transition to a low-carbon area. It focuses on #energy management, building renovation, public lighting and local adaptation to climate change.